Mother’s day is the third largest retail holiday in the U.S, following Christmas and the back-to-school season. Seasonal programs like Mother’s day drive big profits for retailers and restaurants. Mother’s Day spending is expected to total a near-record $25 billion in 2019! Jewelry sales are expected to be the front runner with $5.2 billion, followed closely by special outings at $4.6 billion. Mother’s day is KFC’s highest sales day of the year. 370,000 families looking to give mom a break from meal planning look to the chicken chain for a dinner time solution. KFC has dominated the QSR scene for years on this day, however since 2016 another unlikely restaurant has been trying to compete. Hooters is estimated to serve 30,000 moms in the USA on mother’s day since introducing their “moms eat free” marketing campaign in 2017. 25% of all flowers purchased throughout the year are purchased for Mother’s Day. Consumers will also spend about $2.6 billion on flowers and another $843 million on greeting cards. Carnations are the official flower of Mother’s Day, but tulips, roses and lilies are also popular. 31% of consumers plan to shop online, 64% will hit brick and mortar. With 35% planning to shop at department stores and 29% at specialty stores (florists, jewelers, electronics stores). Nearly 3 in 10 would love to receive a gift of experience on Mother’s Day. Experiences such as a spa day, cooking classes, sewing lessons or concert tickets are popular requests. With $23.1 billion up for grabs, are your stores ready? Are Mother’s Day marketing and merchandising initiatives executed in full, across all your locations? Relying on paper, Excel and email is slow, error-prone and ultimately…expensive. Automate the process in 5 easy steps with retail audit software and get immediate results, higher sales and lower costs. 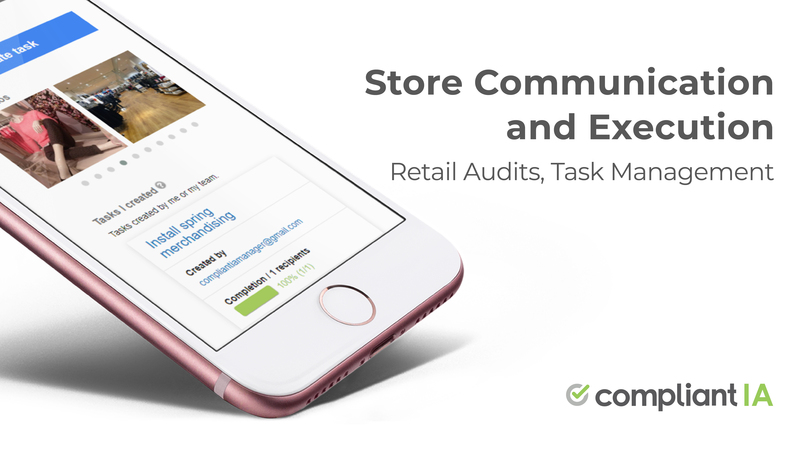 Compliant IA is a complete retail execution and store communication platform. It runs on smartphones, tablets, and laptops. 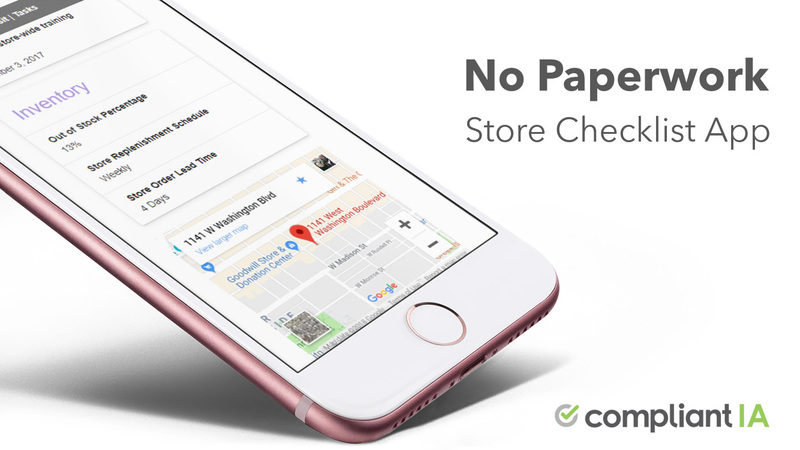 It combines task management, social collaboration, smart checklists, action plans and photo verification to ensure store programs are communicated and executed in time, in full, in all locations. Jacqueline Young-Sterling is the Director of Customer Experience at Compliant IA. She regularly contributes or gets quoted in publications such as the Shopify Blog, Business News Daily, Independent Retail, and the Vend Blog as a retail expert. Compliant IA is the leading retail audit platform. Field managers and stores use the app to complete smart checklists at store-level, take photos, and assign tasks with automated reminders.